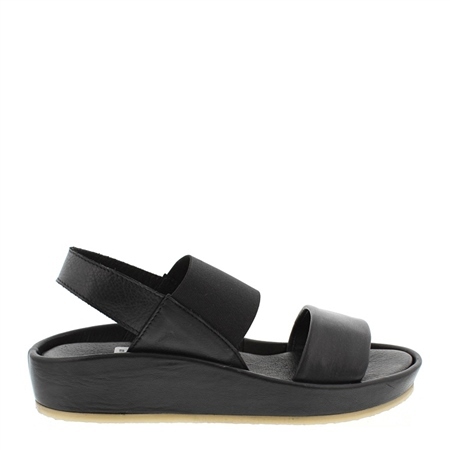 Every wardrobe needs a comfortable pair of black flats, like our Sheila sandals, which are so versatile that youll find yourself wearing them day after day. Everything in this style screams comfort, from the soft leather upper to the cushioned sock to the flexible rubber sole. An elastic top strap ensures a perfect fit thats flexible enough for walking all day. Great for all day comfort in style. I saw a friend wearing these sandals and was struck by the obvious high quality and classic styling, and when she said they were comfortable too I insisted on getting the details from her. Since they arrived, they’ve been my first choice of what to wear every day, with any outfit, whether dressing up or dressing down. I’m delighted. These are shoes for a lifetime.